You can play online slots like this one. Slip on your dancing shoes and get ready to cut some shapes on the dancefloor with the help of this toe-tapping slot from Microgaming. Fans of the rocking tunes of the 1950s won’t be able to resist the trip down memory lane these reels provide. A spangly disco ball casts sparkles over the couples and solo performers who twist and turn their way across your screen. Dancing is hungry work so players can take a break and snack on their favourite American diner treats such as milkshakes and pancakes with all the toppings. The retro aesthetic of the game perfectly captures everything that comes to mind when you think of classic American diners and the rocking 1950s! Based in the Isle of Man, Microgaming Software Systems claim to have established the first online casino way back in 1994. An innovative attitude has ensured they remain at the forefront of the gaming industry, winning numerous prestigious accolades, and they have an extensive portfolio of popular games. 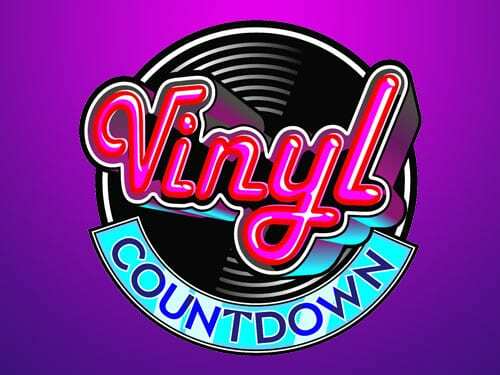 If you enjoy Vinyl Countdown, you might like to try some of our other musical themed slots such as Guns N’ Roses by NetEnt! This is a 5 reel slot with 9 paylines. Players don’t need to spend too long pondering what to set their stakes at as Microgaming has made life easy for you by only offering 4 wagering options per line – 0.25, 0.5, 1, and 2. However you do have the choice of how many paylines to activate, meaning a total bet ranging from 0.25 up to 18, so there is no risk of you feeling like you don’t have much control. You can check our guide on how to pick the best slots for you when you click here. An autoplay symbol also lets you take up to 500 spins at once, leaving you free to practice your moves. 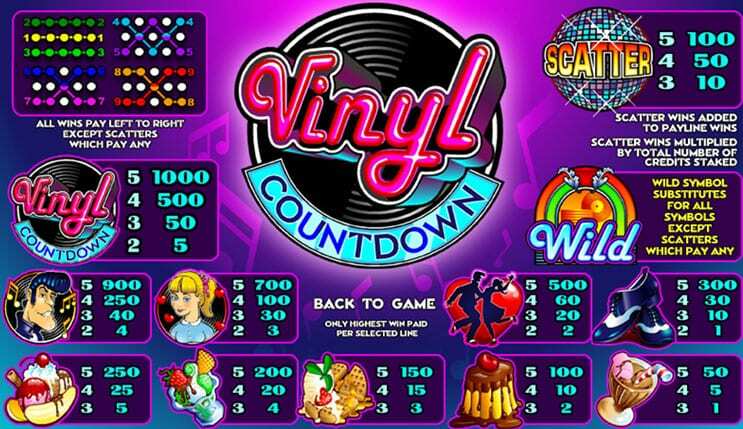 The most valuable symbol in the game is the Vinyl symbol, which will secure you a whopping 1000x your stake on that line! Other valuable symbols to look out for are the dancing shoes, the 1950s heartthrob, and a love heart icon. The two most important symbols are the Scatter disco ball and the juke box Wild. 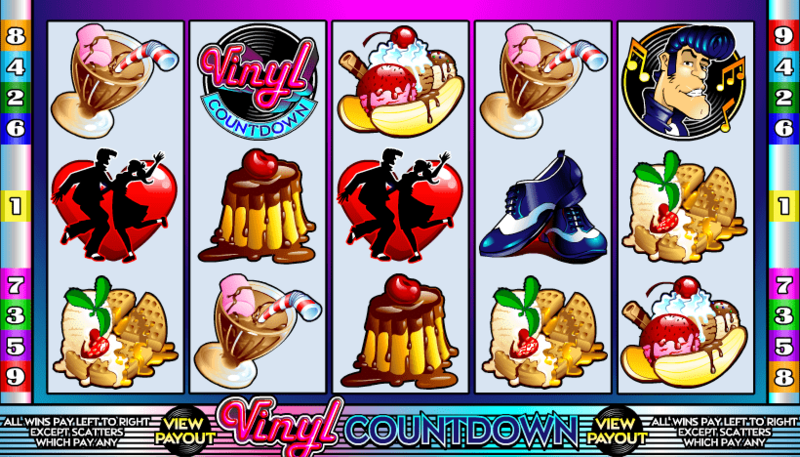 The Juke Box can fill in for any other symbol - apart from the Scatter - to complete winning combinations, whilst the disco ball offers bonus wins if 3 or more appear on screen at any one time. The retro rocking theme of this slot is sure to win the hearts of players and get you tapping your feet, as well as craving some waffles drenched in syrup! Though there aren’t any free spins or bonus rounds on offer, the fun theme more than makes up for this. A wide range of betting options is available, making this game accessible to all types of players, and with a minimum stake of just 0.25 per spin it is particularly recommendable to beginners. The lack of complicated extra features further ensures this game is well-suited to those who are relative newbies.